When you came to the rescue more then 7 yrs ago, no one knew the impact you were going to make upon us. 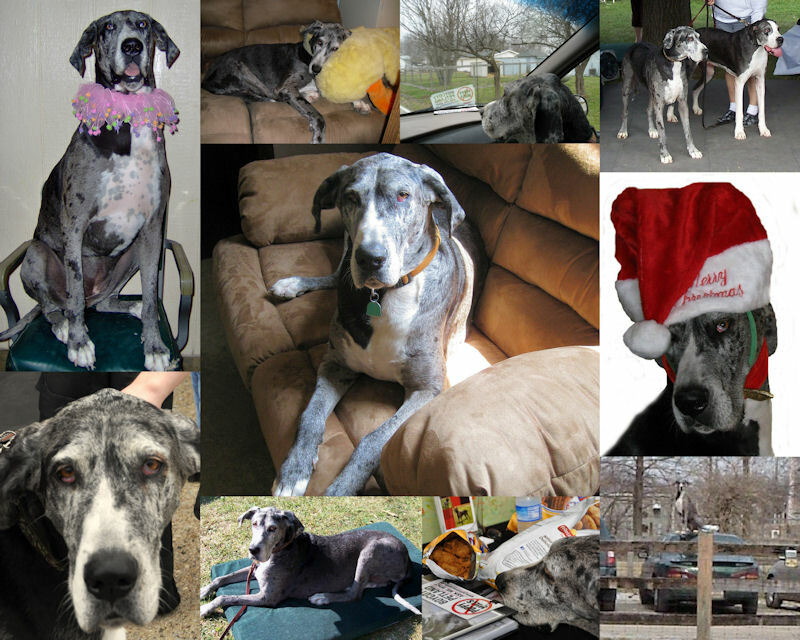 Gracie, you will be forever in my heart and my memory, and you will always and forever be my best friend. Gracie, you had such a strong presence in all aspects of the rescue. Always there to say good-bye to us when we left. Probably making sure we "got the hell" off your property! We'll miss you, Gracie Girl. your Grandma/mom was total. The rest of us were OK, but being with Grandma was your world. hello to my girls when you see them. Rest in peace. Gracie you were a Harlequin Haven Institution and you will be greatly missed. Gracie you were a great companion to the rescue and will be missed. Gracie, you were such a sweet spirit, you will be greatly missed.